Your Groupon voucher will be verified at time of registration. 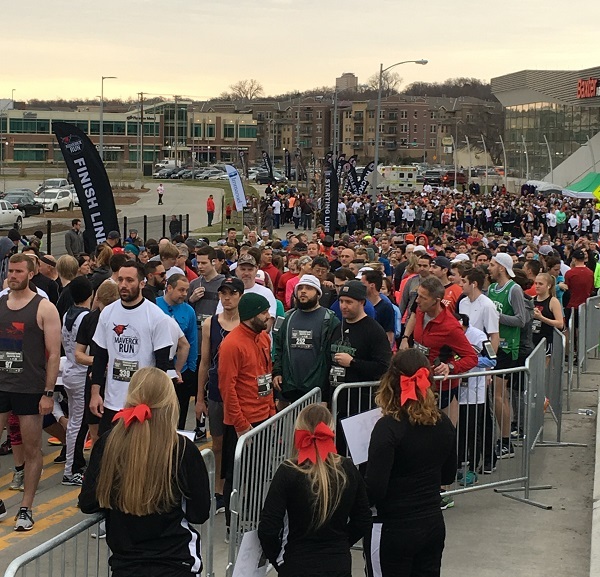 Starting time for the 10K Run is approximately 9:00 a.m. and 9:05 a.m. for the 5K Run on Saturday, April 20, at the Baxter Arena, located at 2425 S. 67th Street. 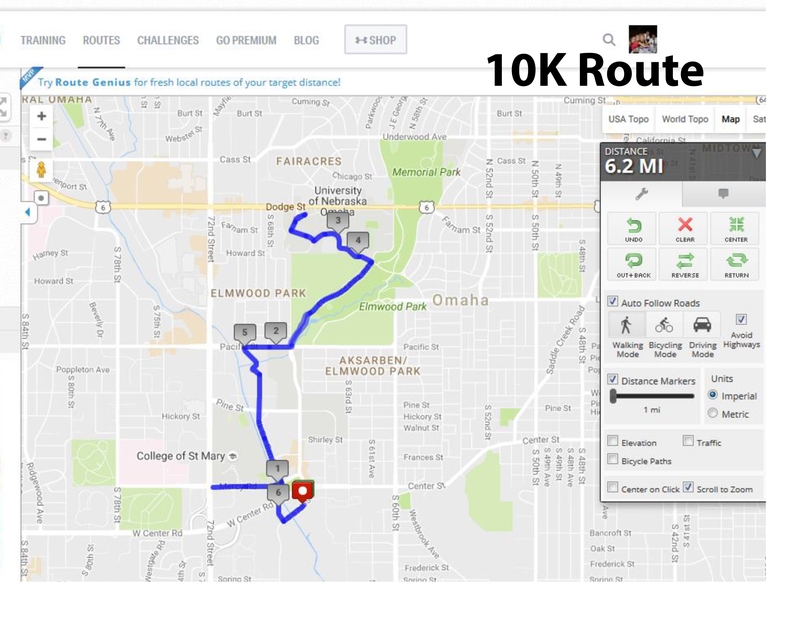 Support the UNO Athletic Department by running either the 10K, 5K events. Both the races will be chipped timed, and winners will be based on the participant's official race time. Medals will be awarded to the first- through third-place runners in each age category. Each pre-registered participant will receive a t-shirt, timing chip and race bib. Course maps will be sent out to all participants and posted online February 2019. Strollers are welcome on all courses. If your child will be in a stroller, he or she will not be required to register for the event unless he or she would like a t-shirt. Starting time is approximately 9:10 a.m. at the Baxter Arena located at 2425 S. 67th Street. 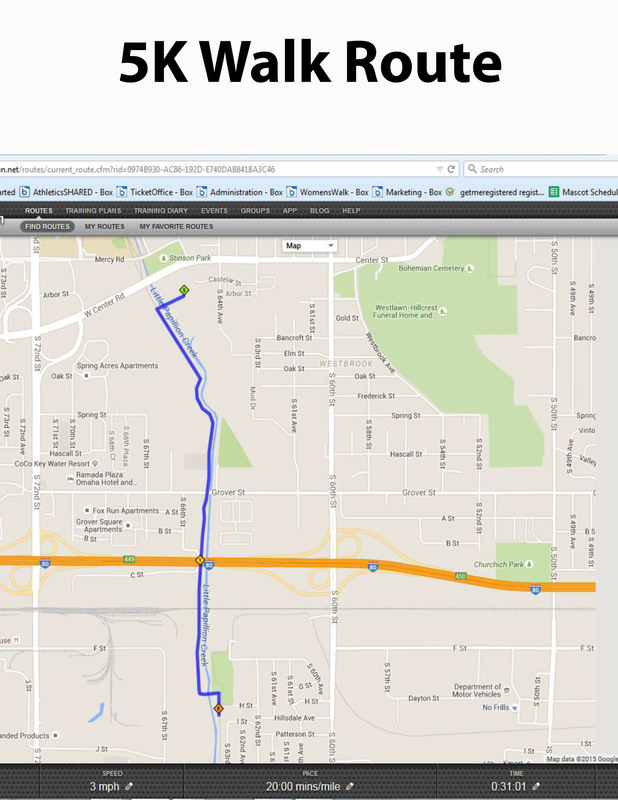 Walker route will take you from the Baxter Arena heading west on 67th Street catching the Keystone trail to head south down to Karen Park and return back to the Baxter Arena. There will be mile markers along the trial for as needed turn-a-round points. Each pre-registered participant will receive a t-shirt and race bib. Course maps will be sent out to all participants and posted online February 2019. Children from 5 to 12 years of age are welcome to participate in the Kids' Race and Kids' Zone Activities. Kids' Race is 800 meters, approximately 1/2 mile,. 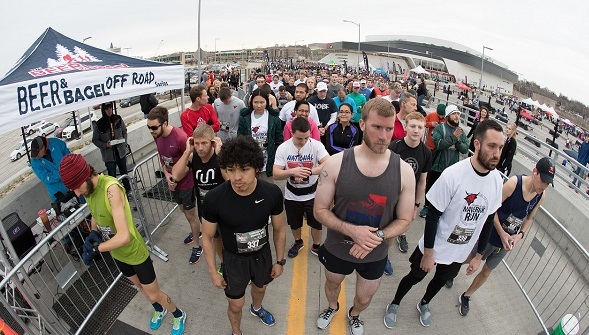 Starting line will be on 67th Street just outside the Baxter Arena with runners running west approximately 1/4 mile towards the UNO Dome and returning back to Baxter Arena. Participants that are signed up for the Kids' Race will automatically be eligible to participate in the Kids' Zone Activities. 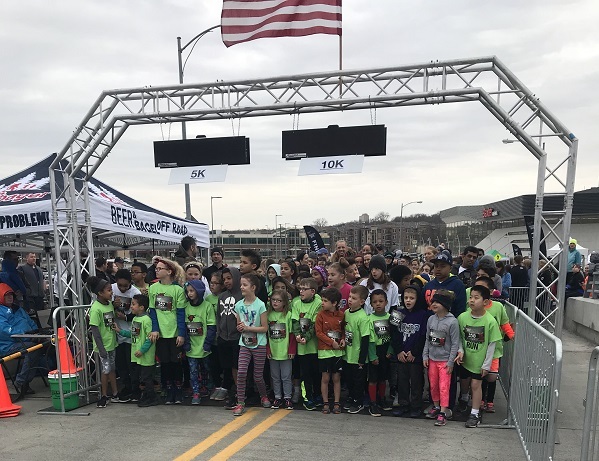 Opportunity will be available to register additional kids the day of race at registration booth located outside the Baxter Arena. Activities for the Kid's Zone will include but not limited to: inflatable obstacle course, batting cage, slam dunk, and a variety of interactive inflatables. 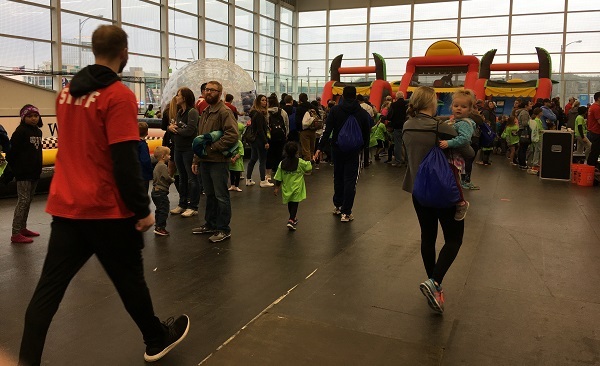 In conjunction with the Kids' Race, UNO will host a variety of kids' activities inside the Baxter Arena. The activities will begin at approximately 9 a.m. and last until 11 a.m. The activities will be hosted by various UNO teams. Kids will have the ability to interact with Maverick student-athletes. Participation is free to those children who have registered for the Kids' Race. Children who have not pre-registered for the Kids' Race may do so at the registration table the day of the event, but will not be guaranteed a t-shirt. The event will be held in rain or shine inside the Baxter Arena. Activities will include (but not limited to): inflatable obstacle course, batting cage, slam dunk, and a variety of interactive inflatables. ****All kids and their parent or guardians will be wrist banded for security purposes for after race activities. Registration for Kid's ages 5- 12 years includes: t-shirt, bib and FREE admission to activities inside Baxter Arena. 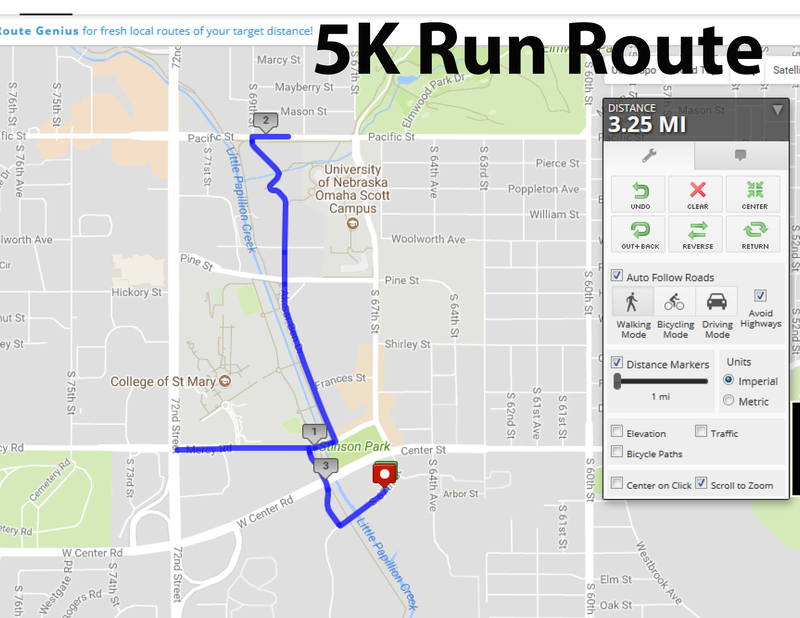 5K Run Route: available here. 5K Walk Route: available here. 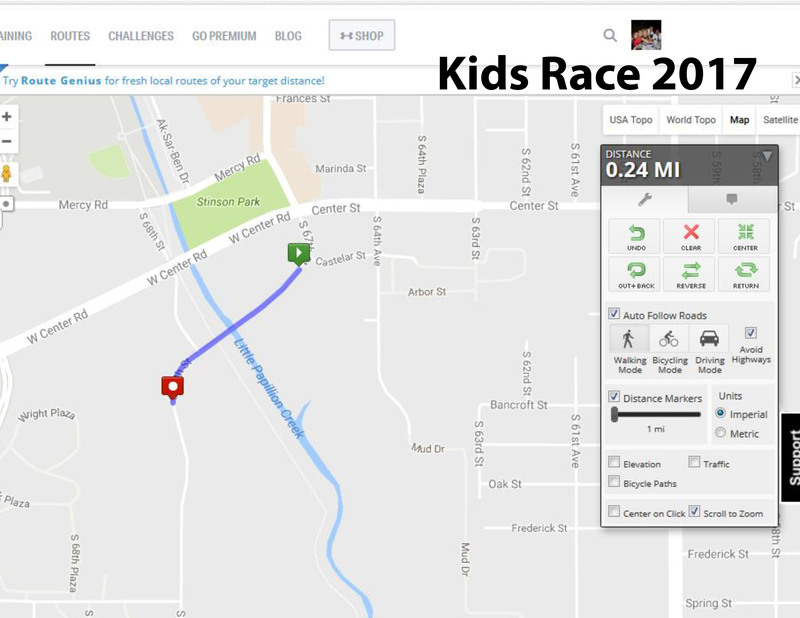 Kids Race Route: available here. When this page loaded, the official time was 7:59:08 AM EDT.